Sick and tired of trying to tote various garden or home items around and dropping/losing them between point A and point B? 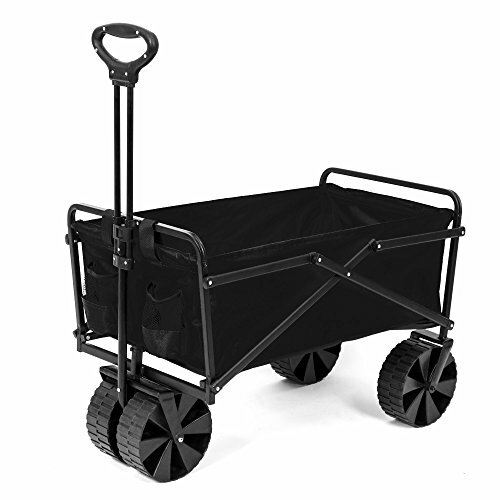 Well, now there's a solution in the form of the Seina Collapsible Utility Wagon and Garden Cart. This cart epitomizes versatility and is perfect for anyone who's active in and around their home. It's made with a durable, powder-coated steel frame and polyester fabric, so it'll hold up over the long haul. It also comes with 4, all-terrain wheels, making it perfect for use on rocky or uneven surfaces. Overall, it can support up to 150 pounds and folds up, making it easy to store when not in use. Keep all of your yard, garden, or home necessities close by, all the time, with a little help of this cart from Seina. If you have any questions about this product by Seina, contact us by completing and submitting the form below. If you are looking for a specif part number, please include it with your message.